The first-ever Bit1 Game Award has now been given. 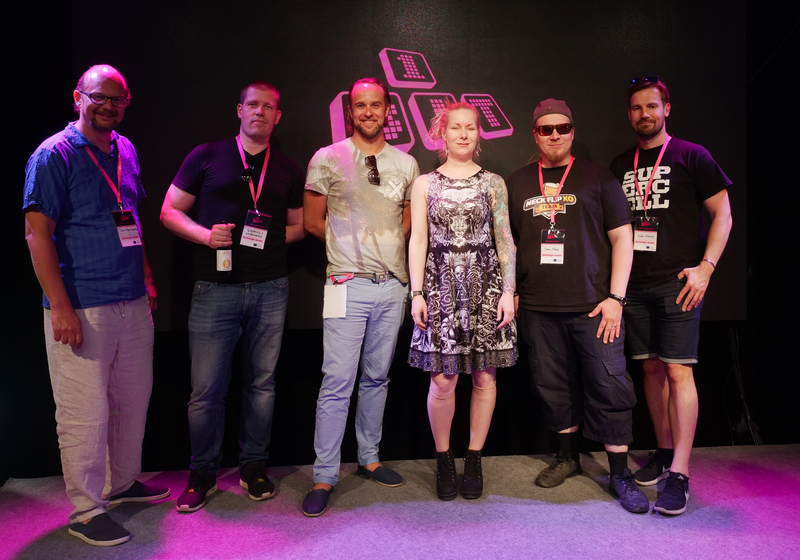 The judges – Mikko Kodisoja (Supercell), Samuli Syvähuoko (Sisu Game Ventures), Wilhelm Taht, Teemu Närhi (Fingersoft) and Karoliina Korppoo (Veikkaus) – thought that the quality of the games was very good. They were all entertaining, fun and well made. The jury was pleased of the quality that students had been able to execute. 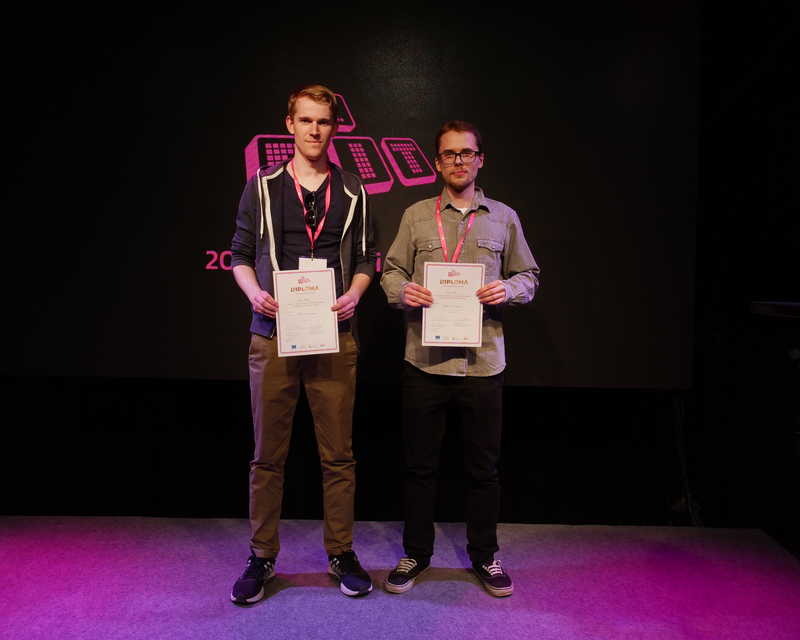 The winner of the Bit1 Game Award and the Choice of the Audience is Team Colbanum. Photo: Tuukka Lindholm. 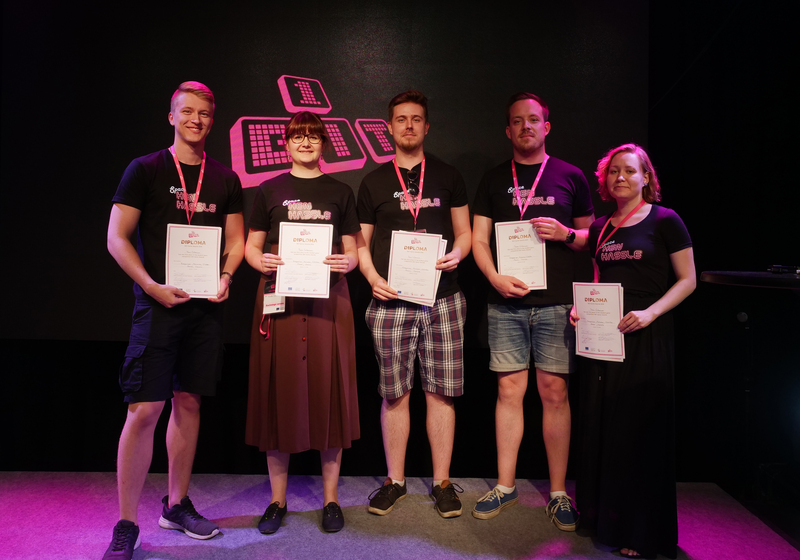 The winner of the Bit1 Game Award is Team Colbanum from TAMK with the game Space Hen Hassle! The jury felt that the winning game had an absolutely good atmosphere and solid execution. It was nonviolent, fun and totally entertaining. The game had very good potential to become a success. As guidance, they said that there should be a cooldown when there´s a hit. Team Bob got the second place on Bit1. Photo: Tuukka Lindholm. 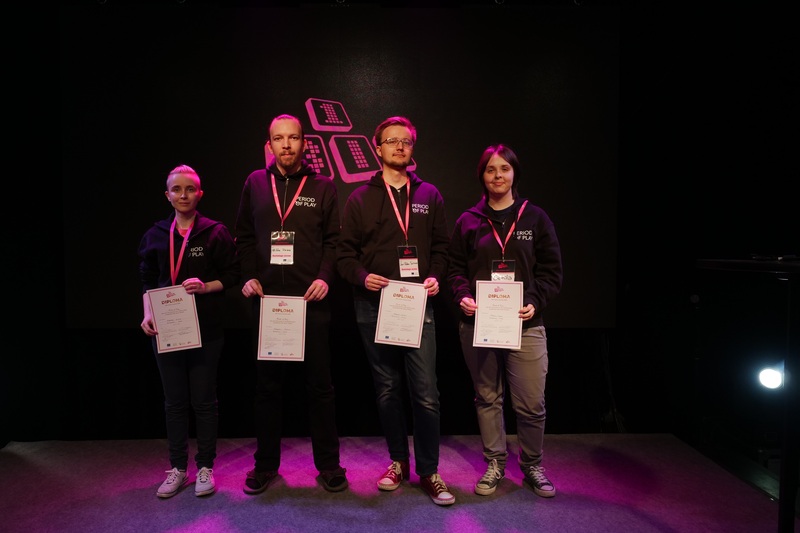 The second place went to Team Bob from Metropolia UAS with the game Bob Belongs to Heaven. The jury was pleased that you could grind in this game. Also, this game had a good atmosphere and very nice content. It was executed nicely and looked beautiful. The game had good mechanics and a good game type in it. The jury found also very important that the team was very responsive to feedback. Team Period of Play took the third place in Bit1. Photo: Tuukka Lindholm. The third place went to Team Period of Play from TAMK with the game Dante´s Infernya. In the jury´s opinion, the game was created for viral contents. ”It is waiting for the porcelain shops and museums”, the jury said. The game fits for all age groups – but should definitely be in mobile. The jury also suggested that the name of the game should be changed. Also the controls were too hard. A good partnership would help the Team. And last but not least: the honourable mentions went to the games Ninja! Not a Samurai by the Team Death By Overwork and the game Trail of Relics by Lunar Byte Oy. The jury: host Juha Huhtakallio, Samuli Syvähuoko, Wilhelm Taht, Karoliina Korppoo, Teemu Närhi and Mikko Kodisoja. Photo: Tuukka Lindholm.